Fall is almost here and the smell of pumpkin spice can be found just about anywhere. You don’t have to give up pumpkin spice just because you had weight loss surgery! 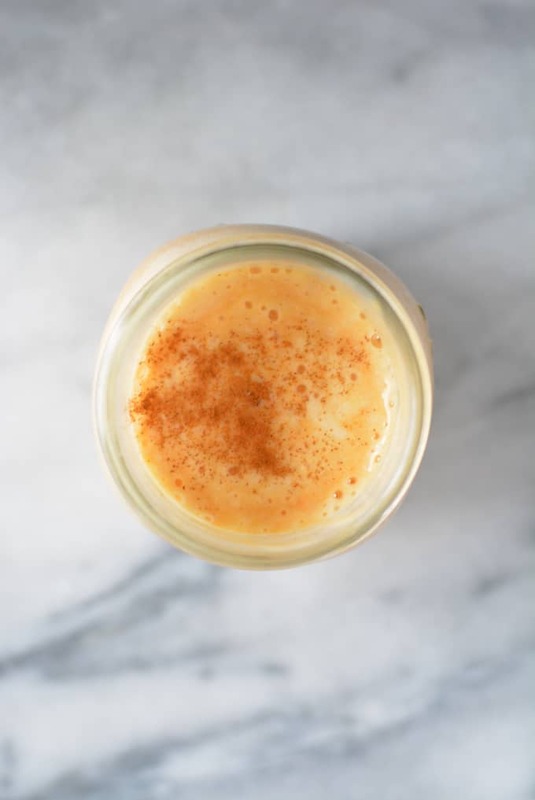 This pumpkin pie protein shake is packed with 25 grams of protein to start your day off right. Protein shakes don’t need to be boring or taste like crap! You also don’t need to fill your shakes will a lot of artificially flavored syrups for them to taste good. 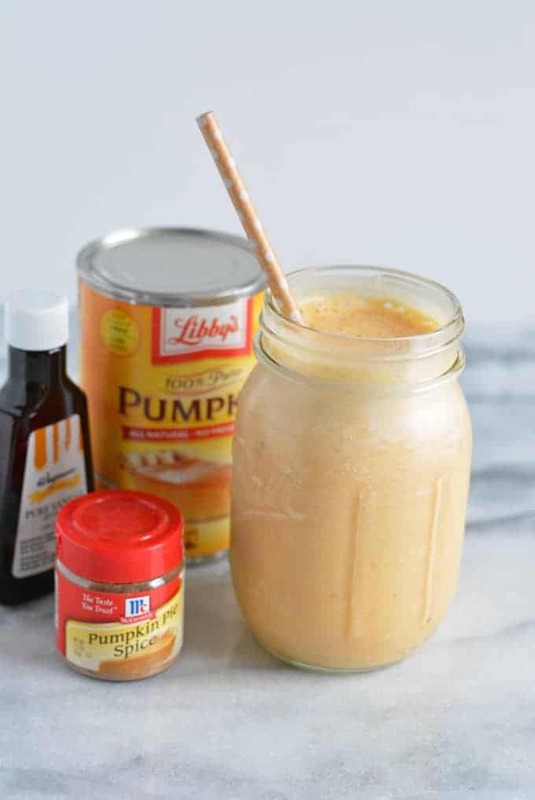 This pumpkin pie protein shake uses real pumpkin puree, pure vanilla extract, and pumpkin pie spice. I love the Fall season. On the east coast the temperature gets cooler, the humidity dies down, and the leaves change. Pumpkin is the ultimate Fall flavor. 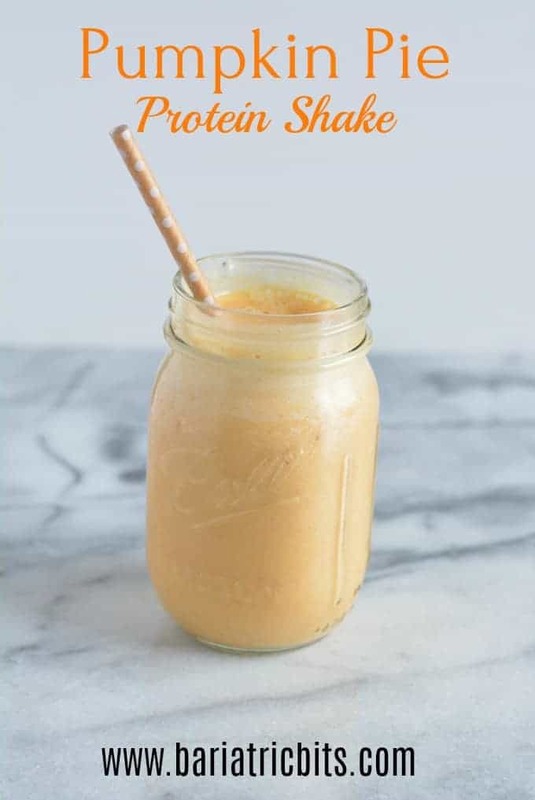 This protein shake can be enjoyed by anyone, but I really had patients in mind who were just going through weight loss surgery when I created this recipe last year. The holidays can be tough for anyone trying to lose weight, but for someone who has a restricted diet because of surgery the holiday’s present even bigger challenges. This protein shake is perfect for the Thanksgiving season. 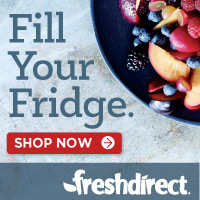 You can freeze it and enjoy it as a dessert instead if you just had weight loss surgery! Perfect for Fall. 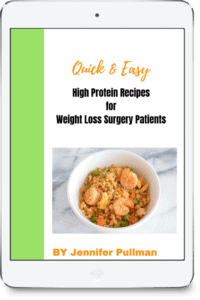 A high protein shake perfect for weight loss surgery patients and anyone needing extra protein in their diet. Garnish if desired with a dash of pumpkin spice or cinnamon. Make sure the pumpkin you purchase is pumpkin puree NOT pumpkin pie filling. If you don’t have pumpkin spice you can use cinnamon and nutmeg (if you have those spices). If you prefer a ready-made protein shake over protein powders you can eliminate the protein powder and milk and just use 1 cup of a liquid vanilla protein shake. Any sugar substitute works if you don’t like or have Stevia. 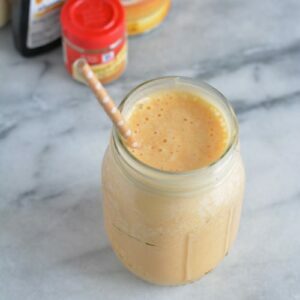 To use as a dessert pour the shake into a freezer safe container and freeze overnight. Other posts you make enjoy! I’m curious does this shake really have 16 grams of sugar in a serving? Yes, the shake does contain 16 grams of sugar. Before you get concerned about the number though you need to consider the ingredients. 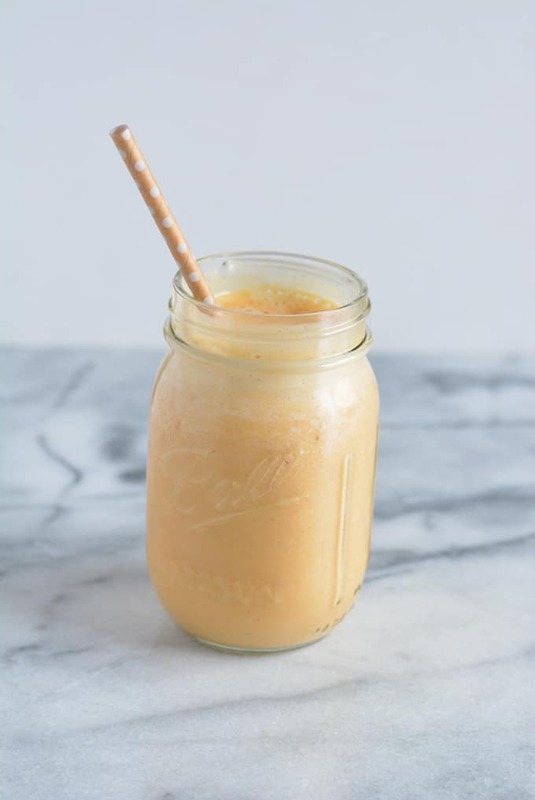 This recipe uses skim milk, which provides 12 grams of carbohydrates and 8 grams of sugar. The remaining sugar is coming from the pumpkin puree at about 4 grams. If you use a different milk like almond, soy, or coconut you will likely have fewer carbohydrates, but also less protein. If you used a ready-made shake like Premier you have less than 5 grams of carbohydrates, but more protein. This recipe doesn’t contain added sugar, only the sugar naturally in the food/beverages used so would not cause dumping.